Russian prima ballerina Irina Kolesnikova was last night the subject of what the agency Borkowski.do is calling the first "Instagram photocall" in ballet, ahead of her starring role in a production that debuts in London tonight. Kolesnikova has a lead role in St Petersburg Ballet Theatre’s production of Her Name Was Carmen, which will be on at the London Coliseum from today (Tuesday, 23 August) until 28 August. Borkowski.do represents the production itself and Kolesnikova personally. Its founder Mark Borkowski accompanied her and Reuters on a trip to refugee camps in Macedonia earlier this year - footage from which is user in this week's show. 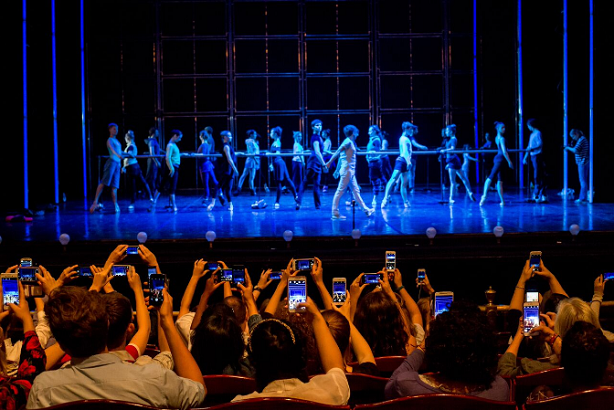 The agency invited 200 Instagram users to the theatre on Monday, who published photos of the dancer in rehearsal using the hashtag #BalletShot. Instagram users invited included @fionafletcher1, @staceystockwell and @romzle, as well as theatre blogs and websites. Kolesnikova said: "This is a very contemporary production, exploring a present-day issue – the global refugee crisis - so we wanted to communicate with a contemporary audience, and Instagram is the natural language in which to do that." She also said ballet was the only high art to have "found a niche among the predominantly young Instagram audience".